HULLO, MY DRAGONS! First of all, I wanted to say that I'm SO SORRY it took me so long to get this edition of TLoW out! Life has been... insane?? For, like, the past year??? 🙈 Which I'll plan to explain in my next post, but for now, I've been keeping you lovelies waiting far too long. Thank you all for bearing with me; I hope you enjoy this edition of The Language of Worlds! 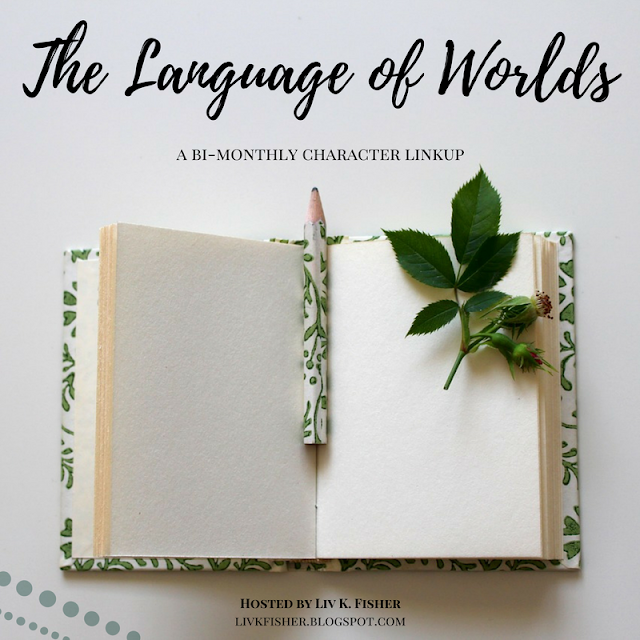 The Language of Worlds (TLoW) is a character linkup tailored to speculative Christian fiction (but other genres are more than welcome! ).It's bimonthly -- every two months, a new set of questions releases. This edition lasts from September 'til October, and the next begins in November and ends in December.There are ten questions per linkup, and new ones every time!Anyone can join! All I ask is that you use the graphic (above) and link back here, to my blog (click here for the official HTML).